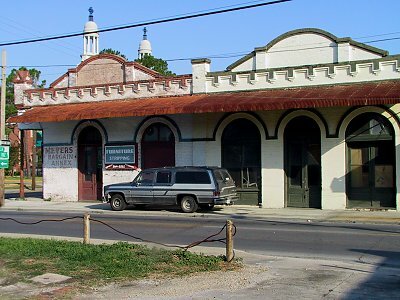 Paul Schwing operates his floral shop here; Schwing is one of New Iberia's treasured characters, the acknowledged unofficial Mayor of Main Street. 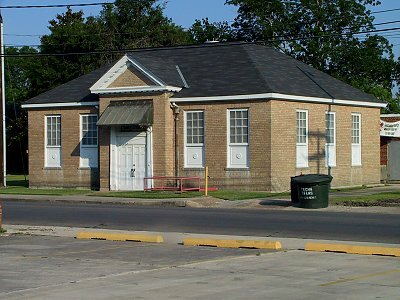 My major source of knowledge as a youth, the former home of the Iberia Parish Library. It was about a mile walk here from my house on Henshaw Drive. Unlike my house, it was air-conditioned. 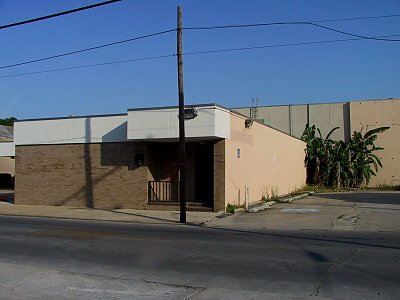 Has since served as local headquarters for Red Cross. 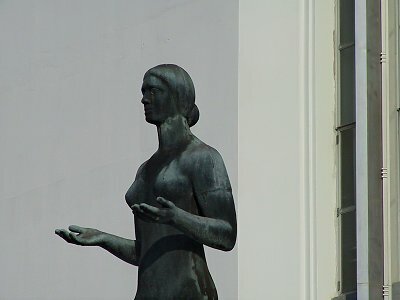 Detail: Above the library's main door was a symbol of the worlds it opened to young readers like myself. 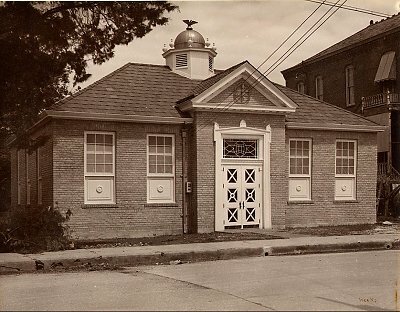 Historic: View of library building with now-missing cupola. 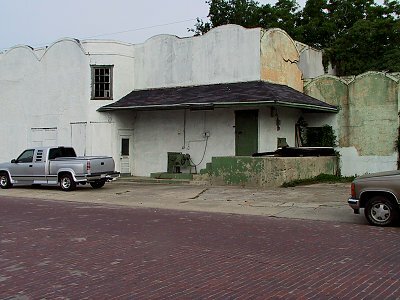 The above-named Paul Schwing was able to preserve the eagle mounted at top, a treasure amongst his enviable holdings. Until recently, part of a banking office. 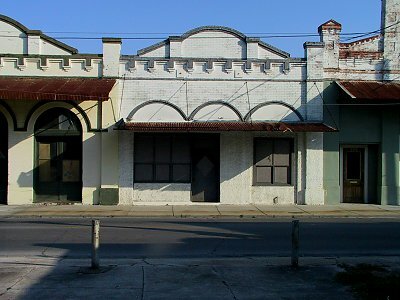 Artist Lou Blackwell has taken this old commercial building and turned it into a comfortable studio, including some gallery disply area. 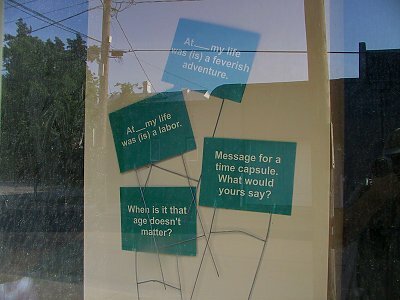 Detail: Artifacts from one of Blackwell's public art projects on display. 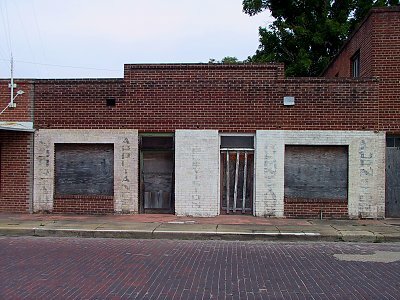 In my time, these buildings have tended to house furniture stores, refinishing shops, etc. 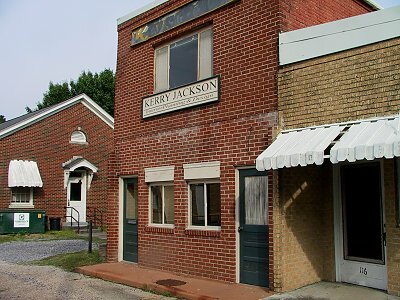 Pair of commercial buildings in Church Alley, the only ones to really face the alley. 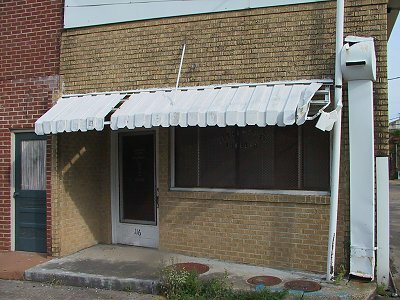 The window of the further north of the two buildings of Church Alley still bears the faded imprimt of Delcambre Jeweler's, closed for many years; but I remember going here with my father one Christmas in the late 50s to buy a watch for my mother. 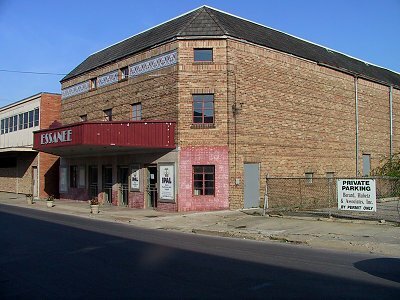 The principal cinema in New Iberia during my grade school and high school years, this building has recently been restored as home to the very active local little theater group. 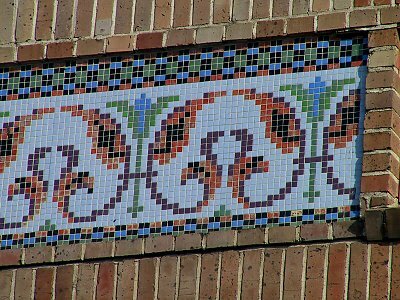 Detail of mosaic decorative motif of Essanee Theater. 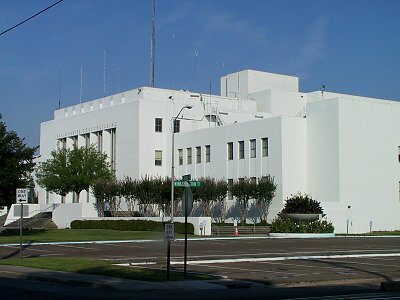 The Iberia Parish Court House, an Art Deco beauty that has kept its grace through additions and renovations. 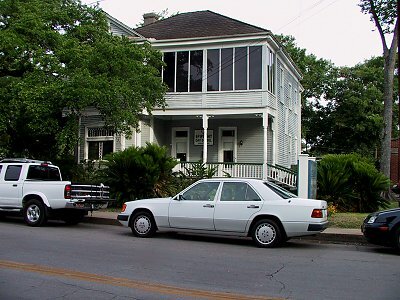 This old home is now part of the Epiphany School. 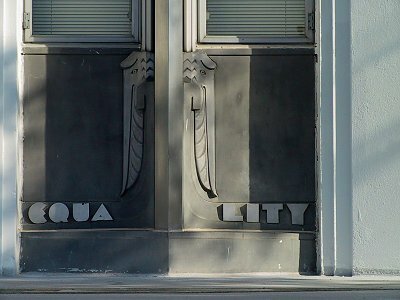 Susan and I lived in the bottom floor in the early 80s. 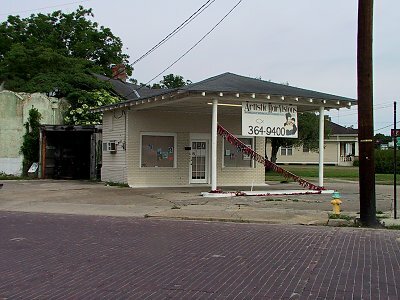 An old filling station, re-used. 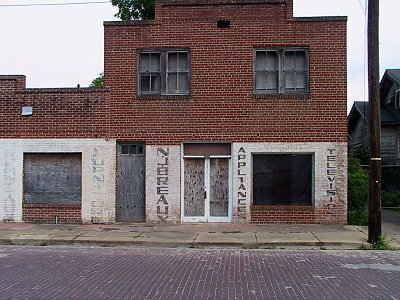 An old appliance store, with palimpsestual commercial messages.